Connect your team, secure your data, deliver optimal network protection and performance. Take the guessing, risk, and hassle out of your network, security, and WiFi with a fully-managed solution. Design, deployment, monitoring, and support keeping your IT staff focused on other business-critical priorities. Multiprotocol Label Switching (MPLS) allows your business to access faster speeds, a greater Quality of Service (QoS), faster restoration of interrupted connections, around-the-clock monitoring, and increased security. SDN is a service that’s provided at the equipment level. Locations vary in size between small branches and large headquarter locations, where a gateway is deployed at the edge. They provide the ability to prioritize traffic across an underlying internet network. There are multiple internet connections going into this gateway that can prioritize voice to be more important than other types of traffic going across that network. Wide area network (WAN) is a computer network that spans across great distances, such as a region or country. They can be used to transmit data to connect separate network structures together. 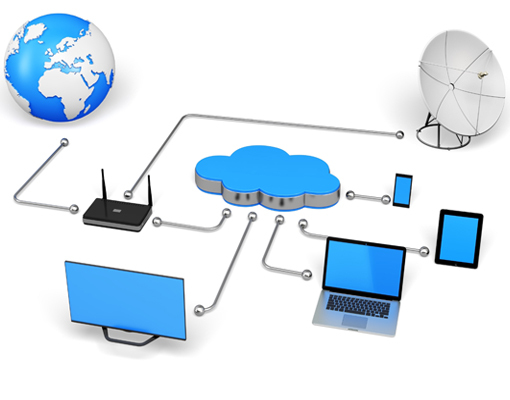 WAN’s can connect to local area networks by physical circuits or through packet switching as a virtual connection. Virtual Private LAN Service is a layer 2 solution where routing is a function owned and managed by the customer. In a VPLS, the local area network (LAN) at each site is extended to the edge of the provider network. The provider network then emulates a switch or bridge to connect all the customer’s LANs to create a single bridged LAN. VPLS is a way to provide Ethernet-based multipoint to multipoint communication over IP or MPLS networks. These networks are mainly used for two locations that need to securely send sensitive, confidential data between each location. Its high performance is due to the low latency of the network. For confidentiality purposes, this service doesn’t require the data traffic to be routed over the public internet, which is where many breaches in security can happen.